Frank Pangburn is the mastermind behind Truckin' For Kids. It's a charity to raise funds for Juvenile Diabetes Research Foundation. 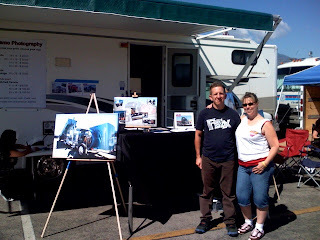 This is a picture of our booth. We are one of the many proud sponsors for this great cause and this great event. 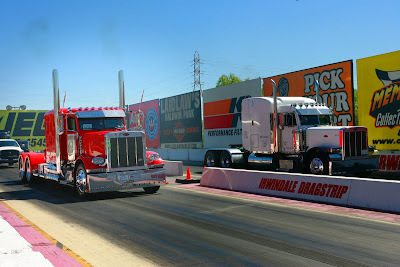 Truckers from all over assembled at the Irwindale Raceway this weekend to show off their beautiful trucks. Every square inch of chrome was shined. Tires were buff to a beautiful sheen. 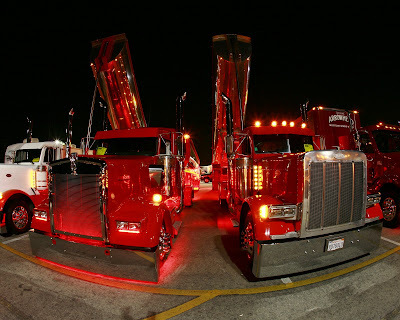 And on Saturday night, every truck turned on their cool lights and we had a great time photographing the Light Show. On Sunday, the drag race was on. We provided still photography of the event and many came by our booth to purchase a photo or two to take home as a keepsake of their participation at this event. Many purchased our brand new product... a 20x30 image printed, stretched, and mounted on canvas. It has an archival life of over 100 years! 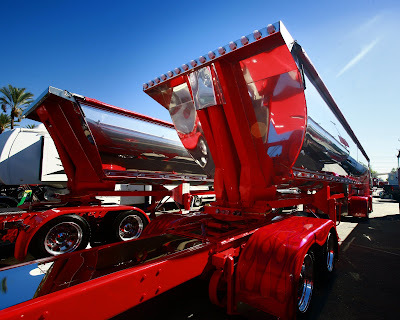 Come to this great event next year and view the spectacular and enormous trucks up close. It's for a great cause and you'll have fun with your whole family. 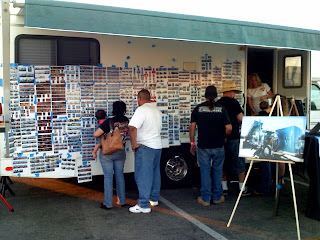 This is a photo of all the photos we took today in thumbnails posted on the side of our RV.